As a new customer joining a betting site, you’re sure to be intrigued as to what you can find on the website before placing that all-important first bet. All online sports betting sites want to welcome new players and those signing up by laying on some fantastic welcome offers. It’s also a fantastic way of introducing betting and wagering money to those who might have never visited a site before. The free bets employed by some of the bookmakers allow for new users to learn about the various markets and how a bet slip works and what it looks like. You can receive a £30 Money Back offer if your first bet on sport loses when you join Unibet. To take part in this offer, you must first place a bet with a minimum of £1 at odds of 2/5 (1.40) or greater. If the bet wins, then you’ll have completed the bonus and you’ll receive your winnings and your stake. However, if it loses, then you’ll receive your stake back up to a maximum of £30. 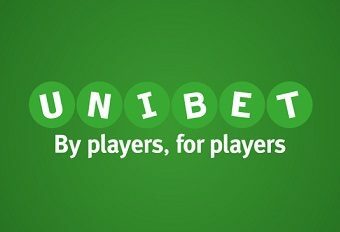 There are wagering conditions to take note of at Unibet and you cannot withdraw your money until you’ve either completed the bonus, cancelled it, or if it has expired. You must wager your bonus three times, meaning that you’ll wager a maximum of £90 if you bet using the highest eligible amount. The welcome offer isn’t the only thing that new players can take advantage of at Unibet, as there’s plenty to enjoy once you’ve signed up to the site and made some bets. One of the bookmaker’s mantras is to ensure that everything is geared towards the player and that’s exactly what you’ll find on the site. There are numerous punters who enjoy a flutter on horse racing, while there are some who’ll love to bet on football matches. Whether it’s the final score, goalscorer or even corners awarded, there really is something for everyone. Horse racing aficionados will enjoy the ever-changing odds that take place as the horses make their way into the stalls and onto the track. If you go to the Special Offers page on the online bookmaker’s site, then you can find everything bonus-related available. Some of this includes casino bonuses, as well as sports promotions and combinations of both sport and casino. On top of this, you can also find offers from Unibet Poker and the bingo site. As football is the most popular game in the world, you can find lots of betting markets available on Unibet’s website. It’s not just betting markets where you can find lots of enjoyment, as there’s also a plethora of football leagues and tournaments to bet on, even stretching as far as lower-league Scandinavian football. Unibet also provides some excellent markets on American sports, like the NFL and NBA. There’s always something going on in the world of sport and as the big events come and go, you’ll find an ever-changing selection of promotions available at Unibet, specific to the time of year. You can find offers for all the big horse racing meetings, Six Nations rugby and Champions League football under the Special Offers page. Some of these promotions include boosted odds, refunds on goalscorer markets and other various bonuses. There’s nothing more thrilling than betting in-play and it’s become one of the best modern innovations to the online sportsbook. Players can now place bets in the middle of a match, game or race, with the odds constantly changing depending on the action that’s taking place in front of their eyes. This is all change from the times when you could only bet pre-match. The same works for cashing out. If you’ve placed a bet prior to the event taking place, then you can cash out on certain markets. If the team you selected is winning, but you’re not sure that they’ll hold on to the lead, then you can cash out for some of your winnings. Doing this is a great way of minimising losses. At Unibet, there’s a big, green indicator that’ll display whether you can cash out on your bets. In addition to that, there is a superb range of In-Play markets that are clear to see, thanks to the red text and it’s the first thing you’ll see when you visit the homepage on the site. It’ll also tell you how many In-Play events there are at the time of visiting. Regardless of which bookmaker you’re using online, there are always a number of terms and conditions that go with a promotion or bonus offer and it’s the same for free bets too. It’s best to make sure you’ve read them all before partaking in the offer. To be eligible for Unibet’s free bet offer, you have to place a bet of at least £1 at odds of 2/5 (1.40) or greater. Offers are also sometimes only eligible on certain types of bets, so it’s best to check out the promotion before making your selections.